You cannot have more than one license. If you break this rule, a court may fine you up to $5,000 or put you in jail and keep your home state license and return any others. You must notify your employer within 30 days of conviction for any traffic violations (except parking). This is true no matter what type of vehicle you were driving. You must notify the Department of Highway Safety and Motor Vehicles within 30 days if you are convicted in any other jurisdiction of any traffic violation (except parking). This is true no matter what type of vehicle you were driving. The written notification must be mailed to Bureau of Driver Records, Neil Kirkman Building, 2900 Apalachee Parkway, Mail Stop 91, Tallahassee, Florida 32399-0575. You must notify your employer if your license is suspended, revoked, or canceled, or if you are disqualified from driving. No one can drive a commercial motor vehicle without a CDL. A court may fine you up to $5,000 or put you in jail for breaking this rule. Your employer may not let you drive a commercial motor vehicle if you have more than one license or if your CDL is suspended or revoked. A court may fine the employer up to $5,000 or put him/her in jail for breaking this rule. All states are connected to one computerized system to share information about CDL drivers. The states will check on drivers' accident records and be sure that drivers do not have more than one CDL. Florida CDL holders are not eligible to elect completion of a driver improvement school to avoid assessment of points for traffic tickets, regardless of whether the violation was committed in a CMV. Be at least 18 years of age to drive intrastate and 21 years of age to drive interstate. You must be at least 21 years of age to qualify for the hazardous materials endorsement. Surrender any and all other driver licenses issued by Florida or any other state. Not be under suspension, revocation, cancellation or disqualification in Florida or any other state. Submit a valid medical report or card, if you are required to hold this document. Provide proof of your social security number such as the social security card itself or your W-2 Form (photocopies are not acceptable). 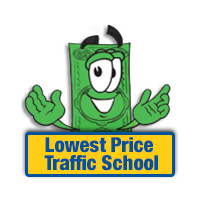 Pass all required tests and pay the proper license fee. Must be in compliance with the vision and physical requirements as stated in Part 391 of the Federal Motor Carrier Safety Regulations Handbook. Military Vehicles - Vehicles operated by members of the armed forces for military purposes. Authorized Emergency Vehicles - These vehicles include, but are not limited to, ambulances, law enforcement and fire trucks equipped with red and blue lights and audible devices (sirens). Farmers - Transporting farm supplies, farm machinery or agriculture products, to or from the owners farm. Not used in the operations of a common or contract motor carrier; and used within 150 miles of the farmer's farm. Farmer, as defined by Florida Statute 322.01(18), means a person who grows agricultural products, including aquacultural, horticultural and forestry products, and, except as provided herein, employees of such persons. The term does not include employees whose primary purpose of employment is the operation of motor vehicles. Recreation Vehicles - A vehicle that is primarily designed as temporary living quarters for recreational, camping, or travel use, which either has its own motive power or is mounted on or drawn by another vehicle. Recreational vehicle-type units, must comply with the length and width provisions of Florida Statutes, 316.515, when traveling on the public roadways of this state. Please see Florida Statutes 320.01 for more information regarding recreation vehicles. Straight Trucks - as defined in 316.033, Florida Statutes, that are exclusively transporting the driver's own tangible personal property that is not for sale. Fees for commercial driver licenses will be $75 for the initial issue and renewal. Fees for customers who have received school bus training and are applying for employment or employed by a public or non-public school system will be $48 for the initial issue and $48 for renewal. Each endorsement is $7. There is a $10 fee for written re-exams and a $20 fee for driving re-exams.